How many people would have believed such a thing could work? Would diva-like vocal grace and cool, calculated club sound efficiency not react like matter and anti-matter upon contact with one another? Yet perhaps this is where the secret of her distant charm lies, the glamorously crafted cool, the vague elusiveness of Aérea Negrot. Last year the Venezuelan vocal wonder silenced any doubters with her first single "All I Wanna Do", creating a new platform for her boundless range of musical expression alongside her career singing with Hercules & Love Affair. Now her second 12" is coming out on BPitch - just in time to set the tone for her coming solo album. The Berlin sound wizard Tobias Freund is on hand once more to produce and mix ìRight Body, Wrong Timeî. He has commanded the mixing desk for a whole host of artists and labels from Minus to Warner over the last twenty years or so and made himself a regular fixture in the BPitch sound cosmos with his production work for Ellen Allien, Dance Disorder, Heartthrob and indeed Aérea Negrot. A1 "Miss You" begins very modestly with classic 808 drums and an off-beat bass, but instantly conveys Aérea Negrot's unique eclecticism: her sublime voice, sometimes diva- like in its effusiveness, is lent a distinct artificial quality through Tobias' vocoder and other studio trickery, extending ever higher into peculiar, almost jazzy harmonies. A2 "Childhood Dub" can hardly be taken literally, for its laid-back frolicking beat has more in common with Detroit than Kingston. 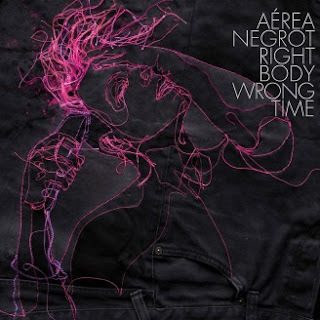 Once more Aérea's voice bestows an extraordinary expressiveness upon the track's clear structure, repeatedly appearing to come within touching distance in fleeting moments beneath the strobe light. The flip-side opener B1 "Right Body Wrong Time" is this EP's title track for a reason: as the beat is woven ever more tightly the straight sets of four urge bodies in one direction only - onto the dance floor. And once again seemingly incompatible elements join hands: the interlocking of vocal acrobatics and stripped-down rhythm sounds almost natural. B2 leads us back to the A-side to present the driving rhythm and deliciously playful melody of "Childhood" one more time, though here with an extension of the vocal passages and ethereal atmosphere created through the effects processing - dramatic and at the same time completely relaxed and weightless. 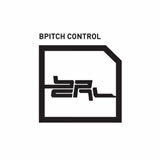 BPitch Control has been introducing diversity to the club society of Berlin since 1997. In the meantime there is no halt within the republic's borders. The label, created by Ellen Alien, tries to split the technoid-electronic microcosms of the capital city with the function of being a platform for upcoming artists. Berlin is growing from the important role as one of the cities where techno has been at home the most for the last ten years. BPitch Control puts this consequently into practice and leaves its unmistakable marks on techno, hence "Made In Berlin". Musically BPitch Control is not only defined by techno, it is a wide concept including self-organized parties on a regular basis, an open content label, visual implementation, and the successful move to to keep the material conditions of production under their own control. BPitch Control considers itself a channel where the collective is the priority and the ideas of every individuals have space. Reflection about the sound can become a mirror of the city of Berlin. Acoustically BPitch Control romps about in the vast plane of electronic music - just don't get stuck in one style.